I got up at 5am to take this and used a very long lens (thank you Alan). Found a place on the bank of the river that would give me a different angle to that favoured by everyone else and kept shooting until I realised the tide had come right up to my foot. 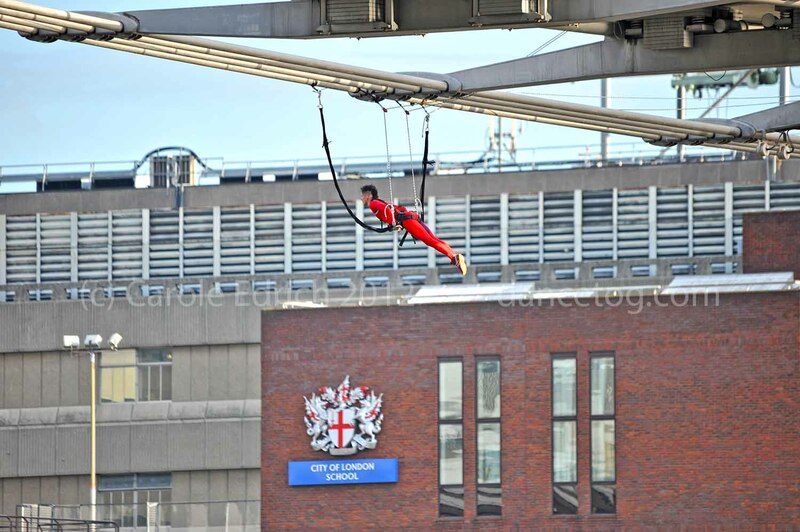 This was the first of the Streb Surprises part of One Extraordinary Day, a series of acrobatic aerial performances throughout London, the climax of the Cultural Olympiad, the London 2012 Festival and the opening of the Olympic Games.